Little travelers will love packing for a trip with this charming rolling trolley bag. They can carry it as a backpack or use the adjustable locking telescoping handle to wheel it like a suitcase...………. 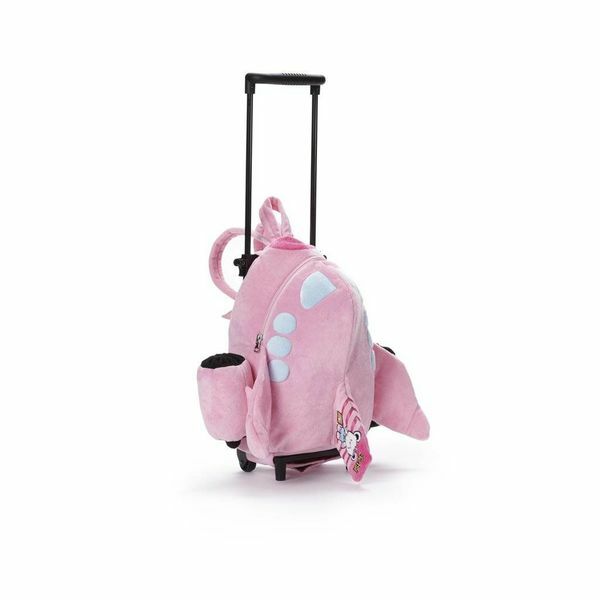 Little travelers will love packing for a trip with this charming rolling trolley bag. They can carry it as a backpack or use the adjustable locking telescoping handle to wheel it like a suitcase. For a special touch, it's decorated with our adorable Jetsi Bear character. 100% polyester. Measures about 11"H x 8"W. For ages 3 and up. Imported.